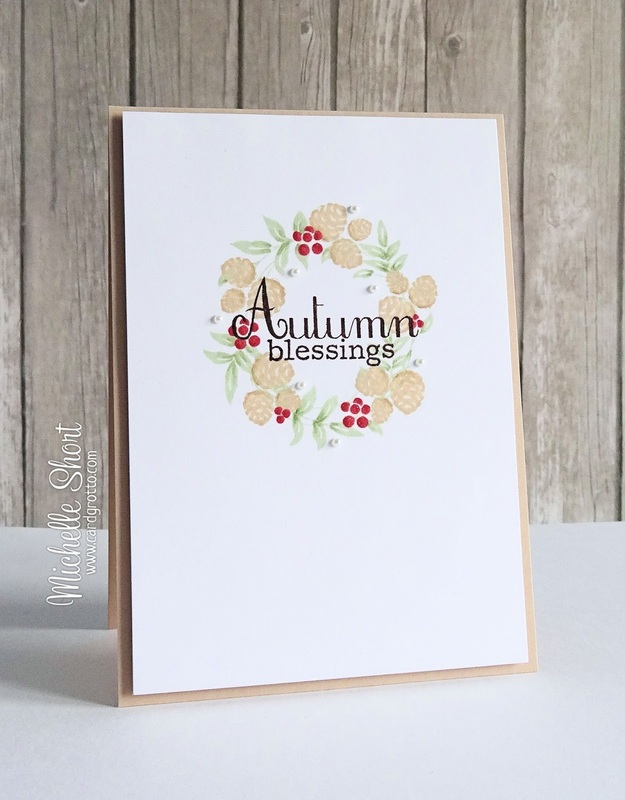 Hello there, today I have a card to share using the beautiful Simon Says Stamp Autumn Blessings set designed by Clearly Besotted for STAMPtember. I first took a piece of white CS and stamped the leaf wreath image first using HA Field Greens ink. I then stamped the pine cones in HA Soft Brown ink and the berries in HA Red Royal ink. I added a little shading to these using Copic Markers. I stamped the sentiment (from the same set) using Colorbox Dark Brown ink and then added a few SU mini pearls. The panel has been added to a card base, made from Bazzill Chocolate Malt CS, with foam tape. COPIC MARKERS: Pine Cones: E50, E55. Leaves: YG61, YG63. Berries: R37. Thanks so much for visiting me today and bearing with me during my absence at the moment. I am still up to my eyeballs with university work but I do have another two cards already made to share with you and also the Clearly Besotted Teasers will be starting soon as well (2nd October). Hope you have a great weekend! Gorgeous Michelle. I really really want these stamps ! This is gorgeous Michelle. I love the design beautiful colours. Beautiful card, a little different from your normal style but I love it. Just lovely, Michelle! 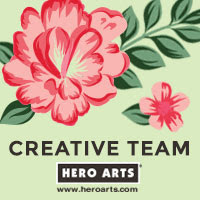 I'm gearing up for my christmas cards (finally) and wreaths are on top of my "card design" list, too. Love you kept the entire card to wonderfully light and CAS. 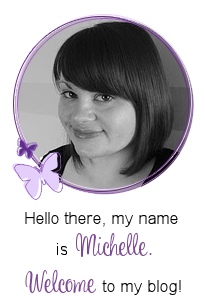 this is so beautiful Michelle, i like the way you have used these stamps. You make me want to buy them.